It is Friday! 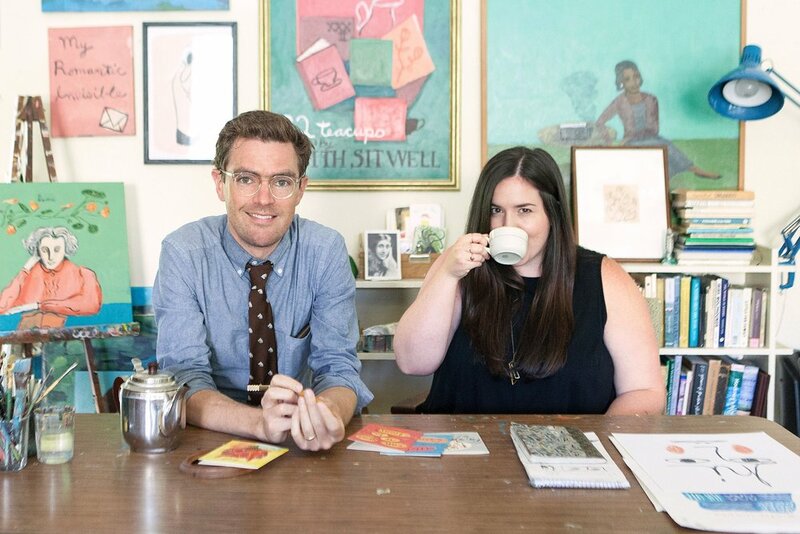 We are so happy to feature Michael Doyle and Samantha Wagner of Seattle-based stationery and print studio Apartment on Belmont today. I love mornings, I’m a freak . It’s my favorite time of day, earlier the better. My morning rituals consist of silly things like journaling, lighting a candle, and doing my really sad interpretation of a yoga practice that takes me only a few minutes. And drinking tons of coffee. 2. Best creative (or business) advice? Unplug more, make friends with quietness, and listen with your heart. I’m super into the films of Pedro Almodovar right now! He was a HUGE inspiration to me when I was in high school and on into my twenties. It’s been so fun and nostalgic to revisit all my favorites especially All About My Mother, it’s so beautiful! I haven’t really gotten into podcasts yet, but I love getting audio books from the library! My recent favorites have been My Side Of The Mountain, and Donna Tartt’s The Secret History-amazing. 5. How does your city influence your work? I’m so lucky to live in the Puget Sound area, I never get tired of the beautiful landscape. I’m a walker and it’s on my walks when I get hit with my best ideas. Nature’s magic shows up strongly in my work. My mainstay is rolling out of bed early, making coffee, then rolling back into bed with a book for twenty minutes. Creative advice: do the work, practice your craft every day. Business advice: start as soon as possible and then revise as you go. The natural world. Plants and animals. A lot of my creative energy has been funneled into garden planning lately. The spoken personal essays on Leandra Medine's (of Man Repeller) Monocycle podcast. I've also been listening to Medicine Stories by Amber Magnolia Hill which explores story as a form of medicine through interviews with herbalists, and other wise folk. Seattle has a wonderfully supportive and enthusiastic creative business community unlike any I've experienced in other cities. It has been an endless resource and source of inspiration and motivation. Copyright 2017 JOIN Design. All Rights Reserved.